While at Star Wars Celebration Anaheim, we had the chance to interview Star Wars author John Jackson Miller. We talked about not just Star Wars, but also his recent work with Star Trek and his work in his original sci-fi setting Overdraft. 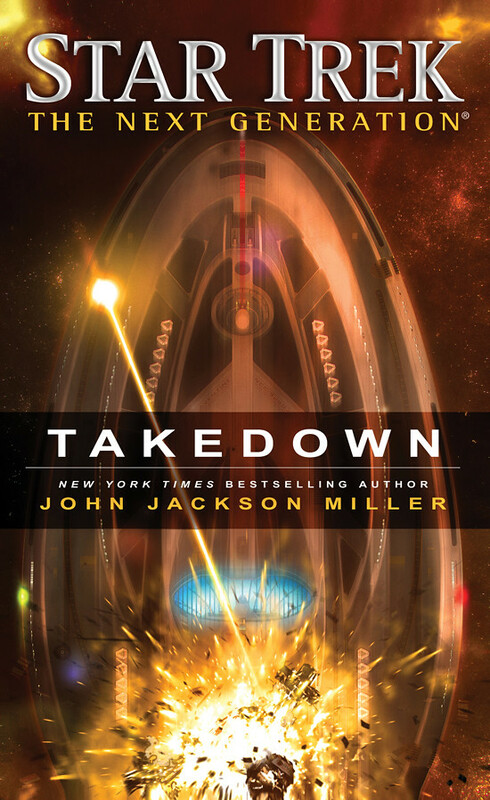 This may be taboo but I’d like to ask you first about your latest novel Star Trek: The Next Generation: Takedown. What kind of prep work did you have to do for this novel? Well I certainly needed to be aware of where the characters were relative to the other novels that Pocket Books had out. I also needed to get some sense of the specs of Enterprise relative to Aventine, which is the ship that they’re chasing throughout the book. I also got out my copy of Star Trek Star Charts and got a good idea of where all of the locations were in my story. So basically ever place that they go is some place they could reasonably get to. Character voices can be hard to capture, but Senator Bretorious really leaps off of the page. How did he come about? 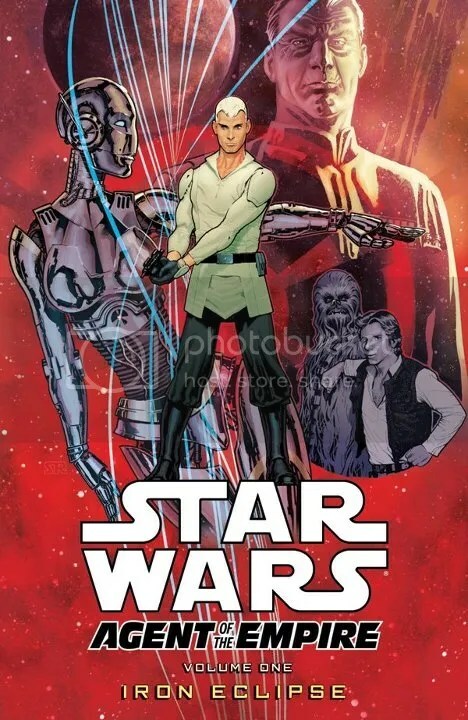 Dark Horse Comics has one new Star Wars release on this Christmas Day and it’s a big one. * Expands the story of the smash-hit Knights of the Old Republic video games! 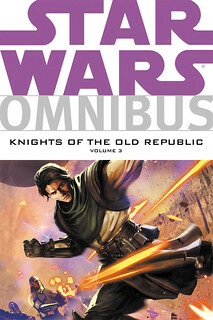 Knights of the Old Republic Volume 1 Omnibus is out today collecting issues #0-18 (trade paperbacks 1-3). Padawan Zayne Carrick is suddenly a fugitive framed for the murder of his fellow Jedi-in-training. Little does the galaxy know, Zayne’s own Masters are behind the massacre and dead set on recovering him before he can reveal the truth. The big news this was the announcement of a new Star Wars book in The Jedi Path/The Book of Sith line that will focus on the bounty hunters. Called The Bounty Hunter Code: From the File of Boba Fett, this deluxe edition comes in the shape of a briefcase, includes extra goodies and covers info on bounty hunting with notes from the pros like Boba, Dengar, Bossk and more. Idle Hands posted a really nice write up with lots of pictures, plus Amazon has it up for pre-order. Unlike the previous books in this series, Daniel Wallace will be joined by two other authors: Ryder Windham and Jason Fry. The book is certainly in good hands. Author Drew Karpyshyn answered a ton of questions on his Ask Me Anything Reddit chat the other day. The topics range from Mass Effect to Star Wars, books to video games. Here’s the full recap. Drew Karpyshyn: I know it’s a bit early, but I’m here and ready to go. Let me set the stage: 85 degrees in Austin today so I snuck in some golf (shot 77, thanks for asking) and now I’m back home and raring to go. 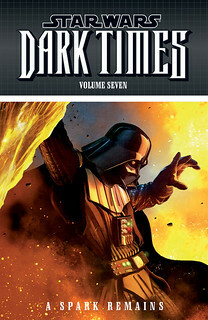 Dark Horse Comics has several new Star Wars releases, all of them trade paperbacks. Everyone wants fugitive Jedi Dass Jennir. 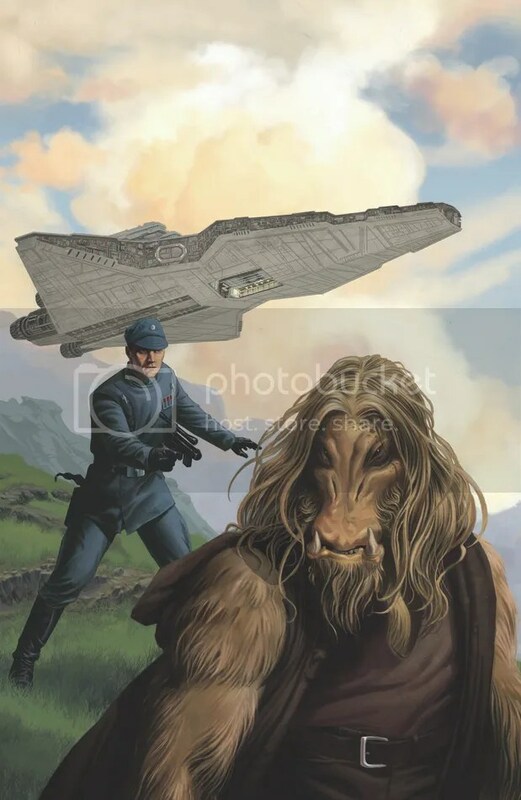 An assassin is hot on his heels, Darth Vader is also in the race to find him, and even the outlaw crew of the Uhumele are searching for their former companion. But for Jennir and his “partner” Ember Chankeli, those are distant concerns as they endure a scorching desert trek and an attack by deadly land pirates! Even under a blazing sun, these are dark times! 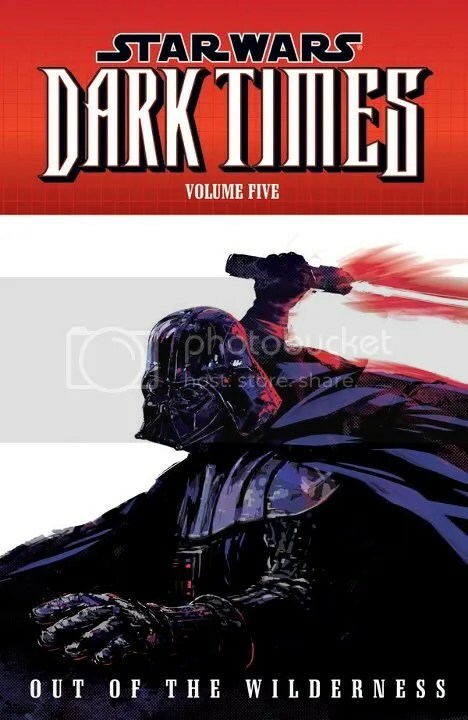 Collects Star Wars: Dark Times—Out of the Wilderness #1–#5. Imperial power is at its height. With Palpatine on the throne and his chief enforcer, Darth Vader, leading fleets of Star Destroyers and legions of stormtroopers across the galaxy, the Empire is an unstoppable force for order and peace. But not every political problem requires military might; not every negotiation depends on a show of force. Sometimes all diplomacy needs to succeed is the right man, in the right place, with the willingness to get the job done. No matter what it takes. 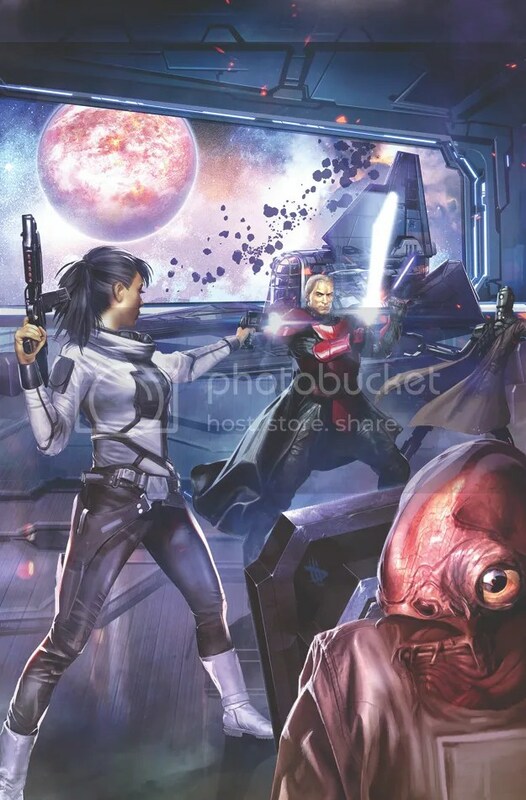 Collects Star Wars: Agent of the Empire—Iron Eclipse #1–#5. 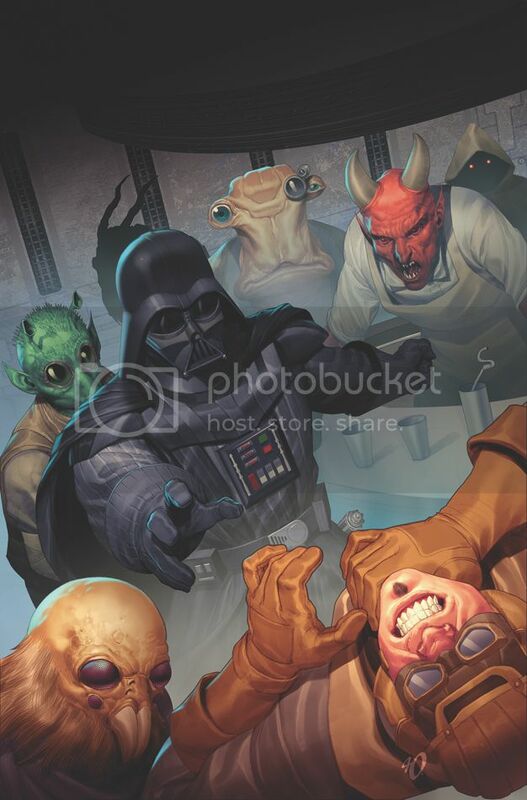 The Republic and the Mandalorians are at war, and some of the Jedi are joining the fight! One Jedi, peace-loving Zayne Carrick, has found himself on the front lines against his wishes—he’s been drafted . 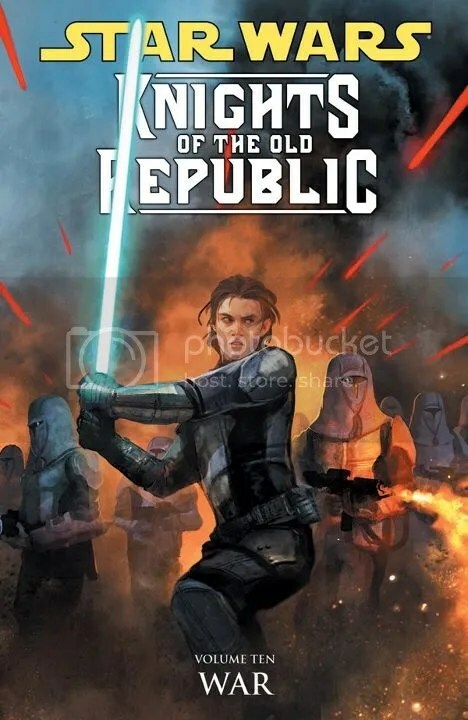 . . And when Zayne is captured by the Mandalorians while storming beaches with his fellow Republic troops, he suddenly is forced not only to fight, but to fight alongside the enemy! 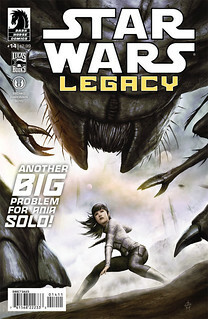 Collects Star Wars: Knights of the Old Republic—War #1–#5.